Title: The Collected Works of Frédéric Bastiat in 6 vols. Vol. 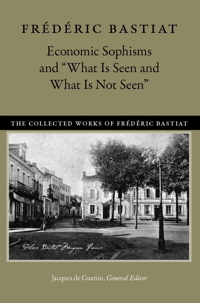 3: Economic Sophisms and "What is Seen and What is Not Seen” (March 2017). 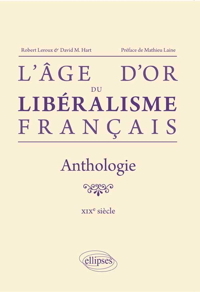 6 April, 2015: Molinari's "Eleventh Soirée"
Title: A revised translation of Molinari's "Eleventh Soirée" from Les Soirées de la Rue Saint-Lazare; entretiens sur les lois économiques et defense de la propriété (1849, to be published in Panarchy: Political Theories of Non-Territorial States, ed. 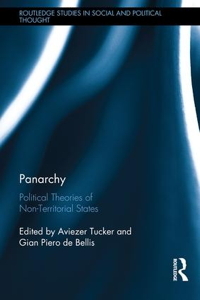 Aviezer Tucker, Gian Piero de Bellis (Routledge, 2016). 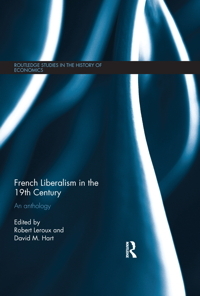 Routledge's website. 2014: Bastiat's and Molinari's Revolutionary street magazine from June 1848, Jacques Bonhomme. 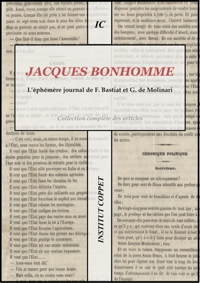 Title: Jacques Bonhomme: L’éphémère journal de Frédéric Bastiat et Gustave de Molinari (11 juin – 13 juillet 1848). Recueil de tous les articles, augmenté d’une introduction. Ed. Benoît Malbranque (Paris: Institut Coppet, 2014). Available online at the Institut Coppet. This edition was made from the original copies and scans which can be seen here. 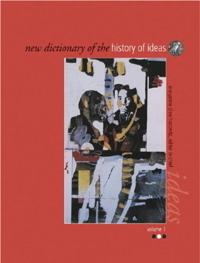 Title: “War and Peace in the Arts,” in New Dictionary of the History of Ideas, 1st Edition, 6 vols. Maryanne Cline Horowitz, editor in chief (Charles Scribner’s Sons, 2005), Vol. 6, pp. 2454-2460. HTML and PDF versions. 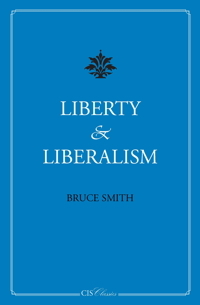 Title: Bruce Smith, Liberty and Liberalism: A Protest against the Growing Tendency toward undue Interference by the State, with Individual Liberty, Private Enterprise and the Rights of Property (Sydney: The Centre for Independent Studies, CIS Classics, 2005). Online: At the OLL and here [facsimile PDF, text PDF] and [HTML]. 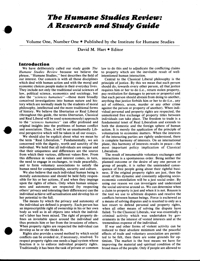 Title: The Humane Studies Review was publishd by the Institute for Humane Studies, Menlo Park, CA. 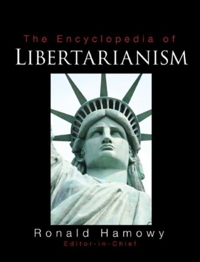 The first 5 years were written largely by David Hart, especially the series of essays on "An Outline of the History of Libertarian Thought" and "The Basic Tenets of Real Liberalism" (with Walter E. Grinder).